Today, Customers Tend To Trust Online Reviews From Their Peers More Than They Trust Advertising. These reviews then directly correspond with your company’s reputation. When deciding to make a purchase or not, a massive 70% of consumers trust online reviews. You are losing business if your company has negative reviews. 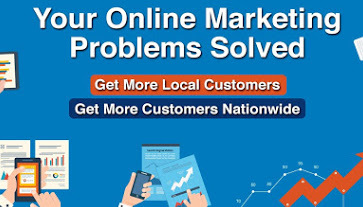 LocalAd Connection, can help you improve your company’s reputation by using advanced reputation marketing skills. Creating and maintaining a 5-star reputation online should be your company’s number one priority. All of the other marketing efforts done by your organization will mean nothing if you don’t have the reputation marketing to back it up when your customers go to look your company up online. Many business owners overlook reputation marketing. Why is Reputation Marketing Important? If they value customer service, but your company has several negative reviews about customer service, then they may choose to make their purchase from another company. When deciding between companies or products, they turn to reviews before making their final decision. It’s ideal to have positive reviews across several review outlets. Many people tend to favor one review medium over another, i.e. Yelp over Yahoo. By ensuring that your company has a wide range of reviews then you are sure to have the greatest reputation marketing range possible. One of the best things you can do for the reputation marketing of your company is to encourage your customers to post real reviews with specific details. You should always be encouraging your customers to leave positive reviews as a steady flow of positive reviews will greatly improve and maintain your reputation marketing. Customers are more likely to overlook a one-star review if you have hundreds of positive reviews than they are if you only have ten positives. Customers want to see several high rated, recent, real reviews. This assures them of the quality, consistency, and reliability of your company. Reputation marketing then takes these reviews and builds upon them to create more business for your company. Many reviews appear locally to the area around the business in searches. If you want to expand your reach further then you will want to build your reputation marketing strategy to include more aspects to reach more customers. When people are searching for what your company offers, by using SEO to boost your company’s search engine rankings in the desired cities you will reach a larger audience. It’s also vital to ensure that your company features a mobile-friendly website as many people now access information via a mobile platform. Having a site that is easy to navigate and read from a mobile view is extremely important. If you have a business that people may be looking for while they are out and about, this is especially true. Reputation marketing has other benefits that come along with having a strong review base. When you set your company apart from others with consistently high reviews, you prove the worth of your company and your product. With a large amount of consistently positive reviews, you will drown out the few negative reviews that your company will naturally receive. You can learn from negative reviews, but for the most part you want to focus on the good and ensure that your company’s reputation marketing is ahead of the game. If they value customer service, but your company has several negative reviews about customer service, then they may choose to make their purchase from another company. It’s ideal to have positive reviews across several review outlets. You should always be encouraging your customers to leave positive reviews as a steady flow of positive reviews will greatly improve and maintain your reputation marketing. Customers are more likely to overlook a one-star review if you have hundreds of positive reviews than they are if you only have ten positives. With a large amount of consistently positive reviews, you will drown out the few negative reviews that your company will naturally receive from some people who just can’t be pleased or your competition that wants to tarnish your otherwise stellar reputation.